It was a Fox feed for last night’s g̶a̶m̶e̶ embarrassment between the Dragons and Souths. There are no longer any FTA exclusive games in the NRL, though, except the State of Origin. The AFL games I may watch (Sydney teams) are all on FTA here anyway. I’m still boycotting that league at the moment due to umpiring bias against the Sydney Swans and to a lesser extent, GWS (I’m sorry, it’s just that blatant). I’m just glad that the two NRL games I’ve streamed thus far have worked without a hitch -though I only watch in SD quality because of my data cap. I was expecting some stutterbuffering in the first round due to a subscription spike. The AFL games I may watch (Sydney teams) are all on FTA here anyway. I’m still boycotting the league at the moment due to umpiring bias against the Sydney Swans and to a lesser extent, GWS (I’m sorry, it’s just that blatant). I am sorry but I am slightly confused league isn’t AFL but you listed AFL sides. In that paragraph I was referring to ‘the league’ as in the (Australian Football) league. Slightly sloppy grammar- I’ll change ‘the’ to ‘that’. Ah thanks. Got it. Don’t know if I agree with your comments though. I think every supporter believe their team is hard done by. If you supported Port Adelaide I think you would be upset that umpiring decisions have effectively ended their season two years in a row. First was the ‘high tackle’ that umpires later said was incorrect against West Coast in the Elimination Final and the second was last year against the crow when a shot on goal hit the post but was called a goal. Umpiring comes with the game and they do the best they can. I think there is a general bias against any non Victorian side to be honest. Just found this beauty of a table from Reddit. Sydney is stone cold last in terms of free kicks for/against and by a long margin. Port Adelaide are around the middle of the table. Of course, frees aren’t the whole story and counts can be ‘padded’ at the end of a match. Speaking of blackouts, the Fox Footy channel on Kayo should also in theory be blacked out during Channel 7 games (or redirected to a Channel 7 simulcast). Yes, the live Fox Footy 504 channel on Kayo blacks out with a message to switch to the ‘Today on Kayo’ carousel and select the live game tile instead. Bit of a pain in the arse if you like the live channels. On Foxtel Now, rather than blacking out a Seven game, it just switches to the Seven game right before the first bounce. But the live channel is branded Footy Play Powered By Fox Sports instead of Fox Footy 504. It seems like a cheeky workaround to allow the viewer to stay on the same channel because technically it’s not Fox Footy. Perhaps Kayo don’t want to use this feed and would rather force the user to select the game from the carousel to avoid having 7 or so Fox Footy streams for each state. Thursday night on Kayo, many users were reporting different streams for the Carlton v Richmond game. A user in South Australia was getting the Seven Adelaide feed with ads, I was getting the 7mate Perth feed with ads, and two users in Victoria were getting either the Seven Melbourne feed or the ad-free Fox Footy feed. It seems that Foxtel and Kayo won’t have streaming rights to Indian Premier League to themselves. 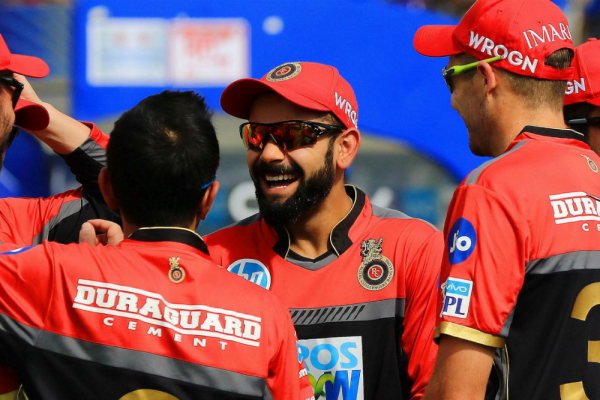 YuppTV has also obtained digital rights to this year’s IPL competition for subscribers in Australia, as well as continental Europe, Singapore, Malaysia and Sri Lanka. South Asian streaming service to air T20 series in global markets. The 2019 Masters swings into action from Friday, 12 April and Kayo, Australia’s new multi-sport streaming service, will have every round LIVE and anytime. Kayo will also have three bonus cameras for every round, providing more ways to watch. Australians Jason Day , Marc Leishman , Adam Scott and Cameron Smith will join the world’s best including returning former world no. 1, Tiger Woods . Kayo will have LIVE daily coverage of the prestigious tournament plus a pre-round show called On the Range , featuring practice, analysis and interviews. The additional cameras will deliver even more coverage of The Masters, and will include ‘Featured Groups’ , which follows each shot from two selected groups. ‘Amen Corner‘ - the famous stretch which is often instrumental in deciding the Champion, plus holes ’15 & 16’ . The bonus cameras will be offered on Kayo’s unique feature ‘SplitView’, which enables fans the ability to watch up to four different videos, games or shows on web, tablet devices and selected TVs - and two videos simultaneously on mobile, all on the one screen. For golf fans, this means four times as much Masters action all on the one screen. Multi-year deal sees ESPN gain soccer tournament media contract in multiple territories. Kayo Sports have obtained the streaming rights to the English’s FA Cup knockout comp via ESPN’s new multi-year broadcasting deal. Kayo Sports will stream the upcoming Hockey One, a new domestic competition from Hockey Australia with city-based teams for both men and women, similar to cricket’s Big Bash League. Fox Sports will also broadcast the finals. The new clubs are Adelaide Fire, Brisbane Blaze, Canberra Chill, HC Melbourne, NSW Pride, Perth Thundersticks and Tassie Tigers. Hockey One will be held over six weeks from mid September to late November, and will replace the Australian Hockey League which featured separate men’s and women’s teams.